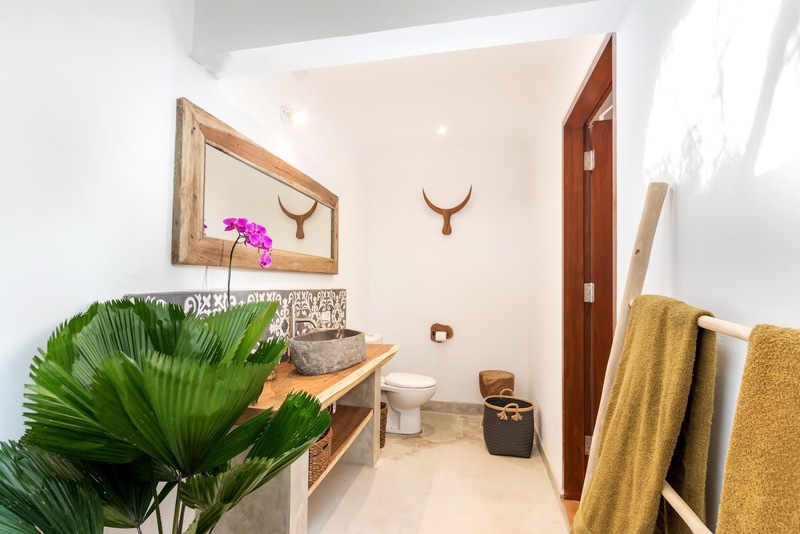 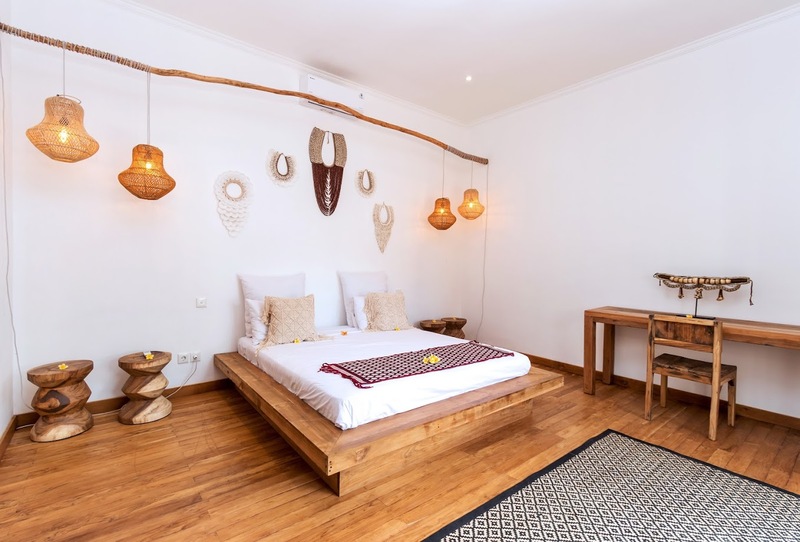 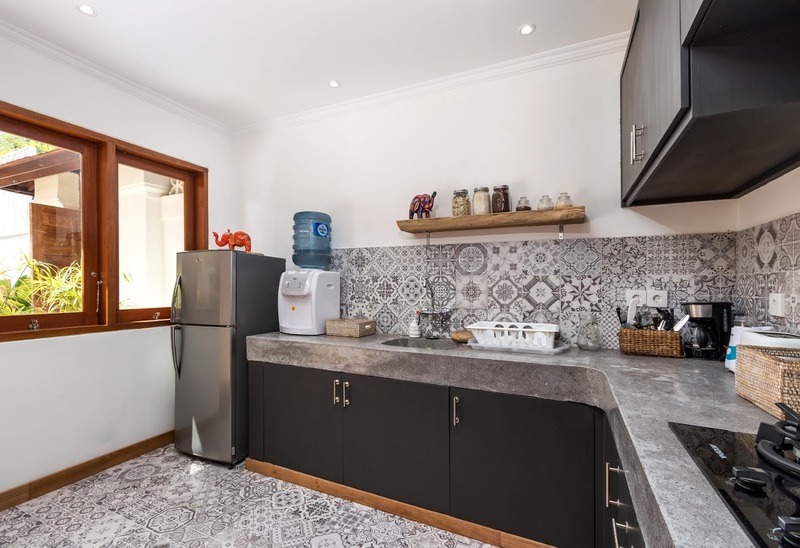 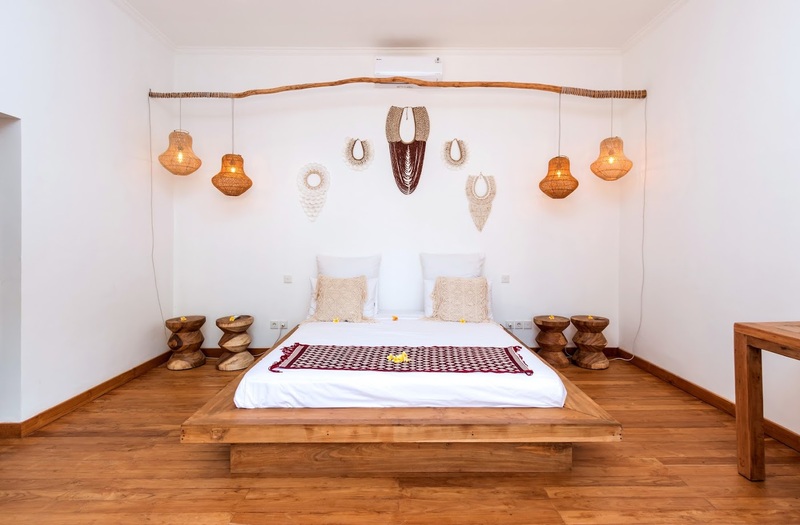 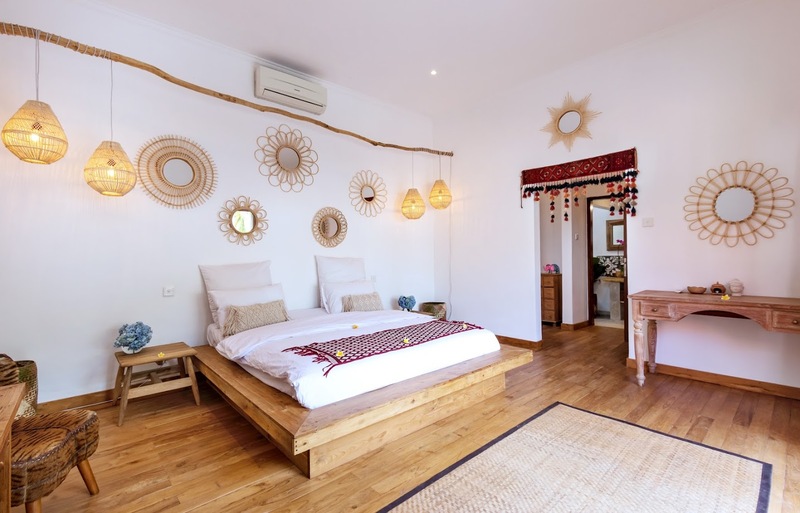 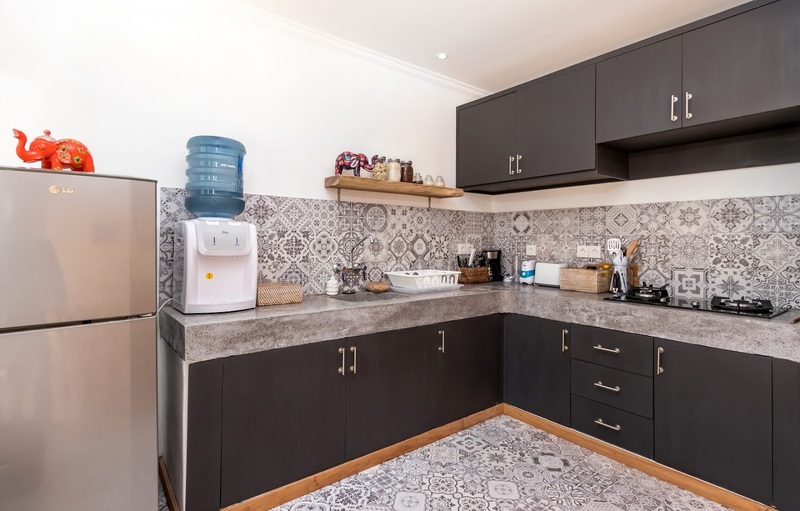 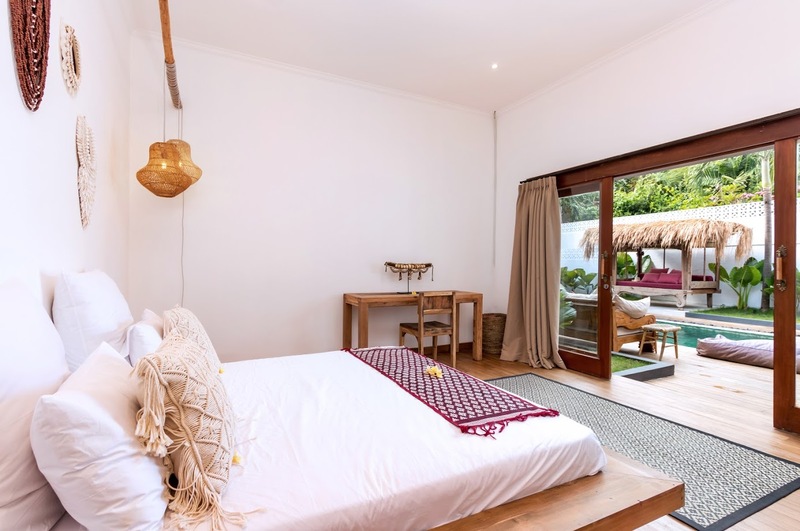 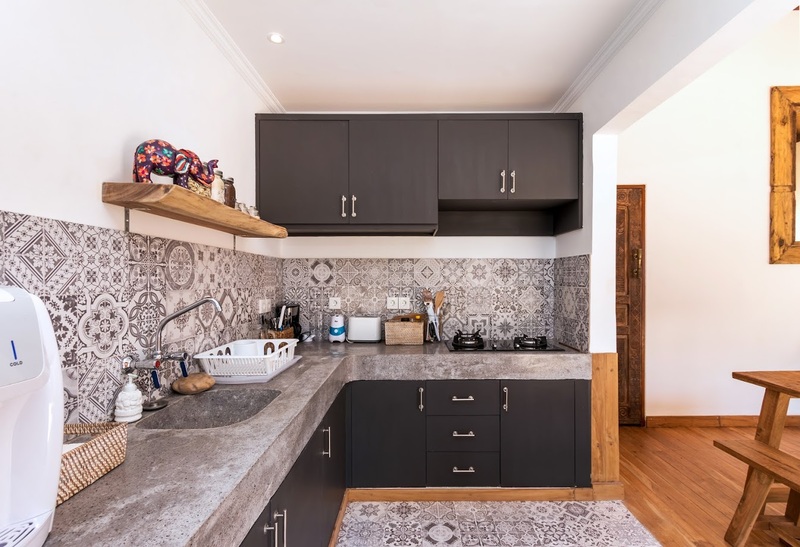 Tropical as can be, spacious,located in the heart of Seminyak and affordable – it is the magic mix for an amazing holiday on Bali Island. 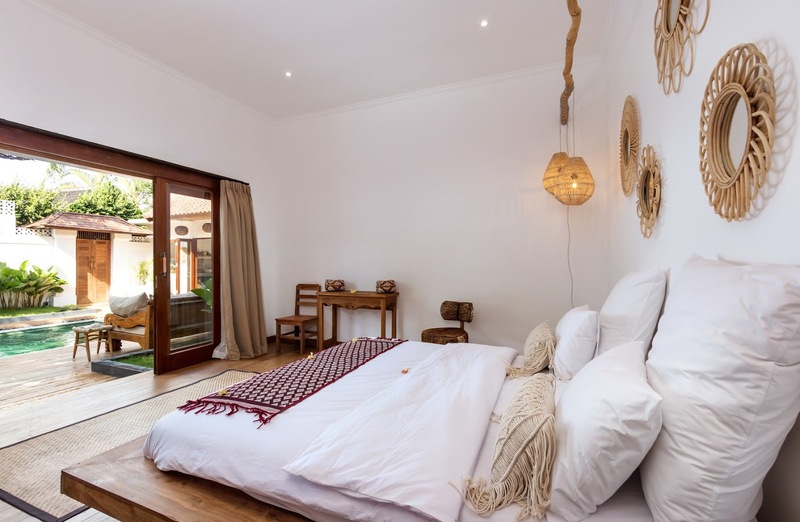 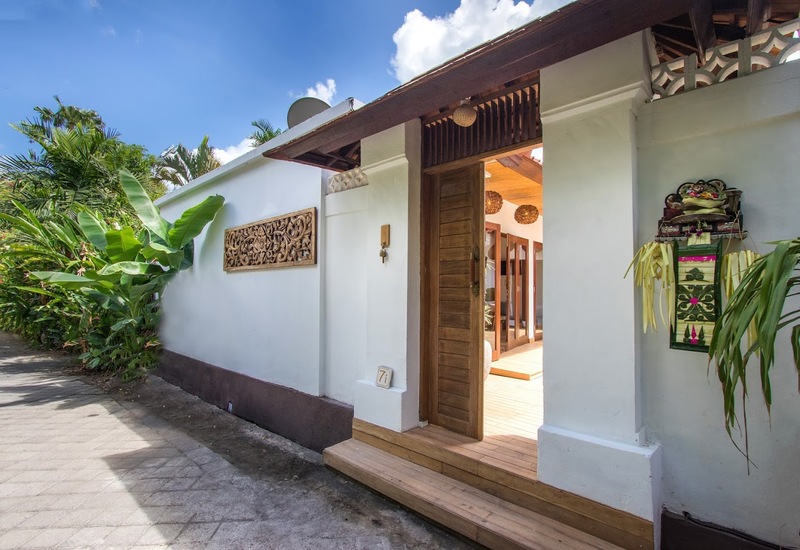 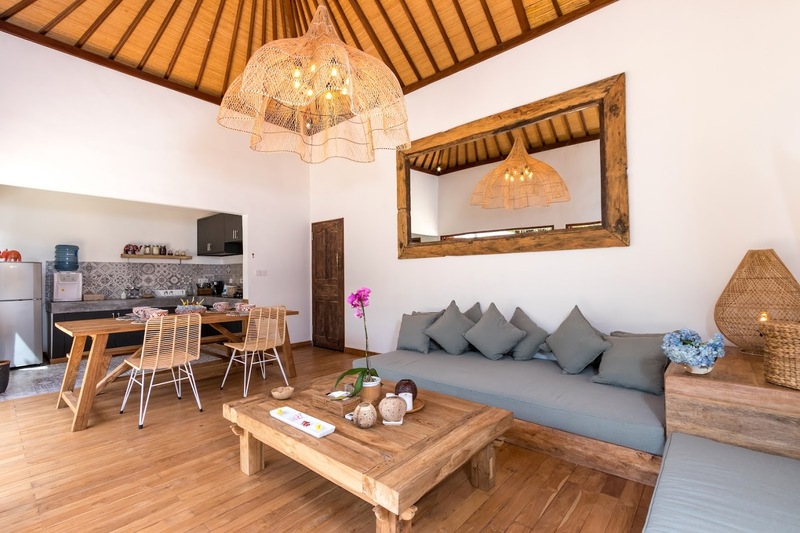 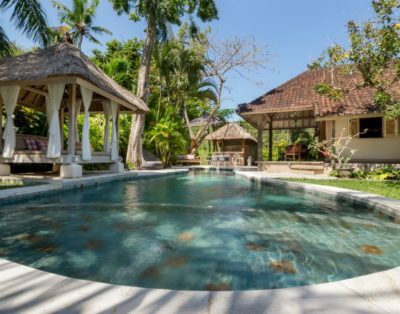 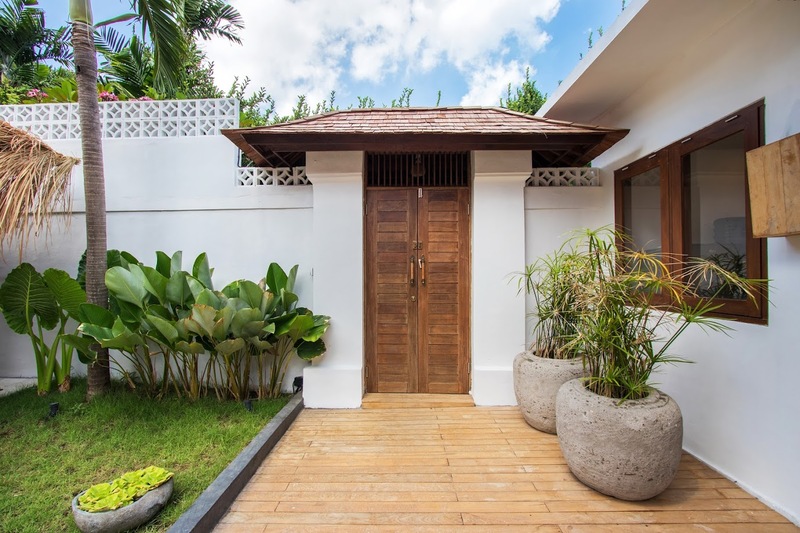 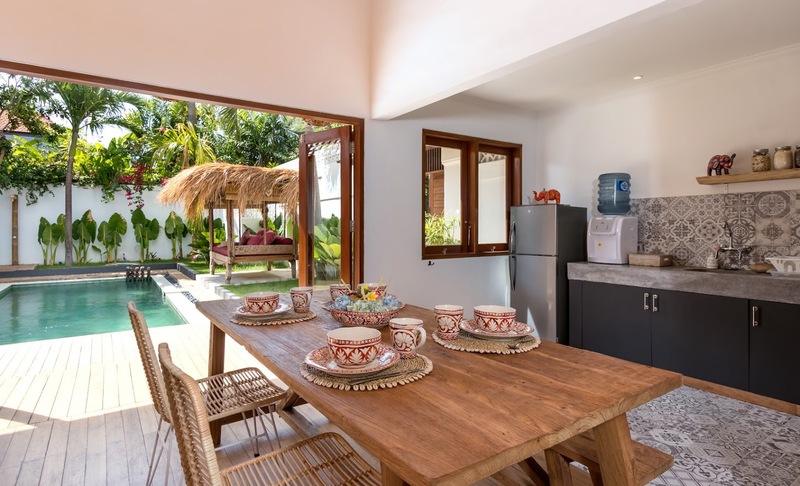 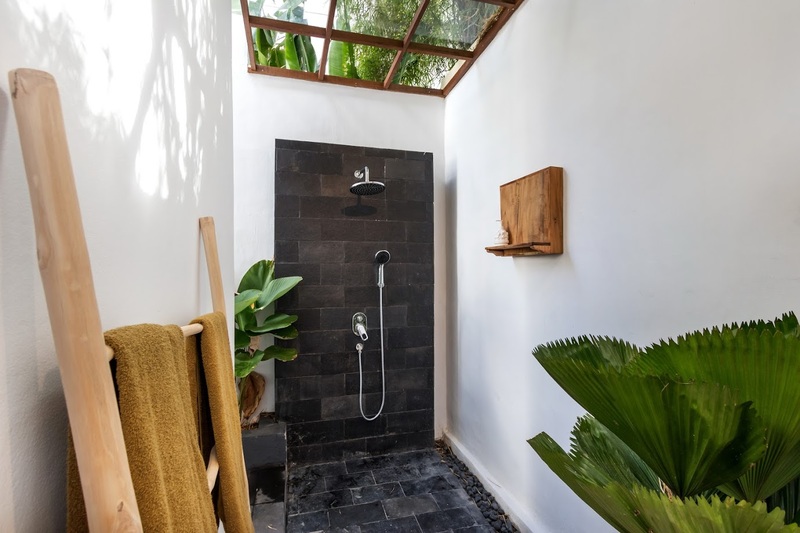 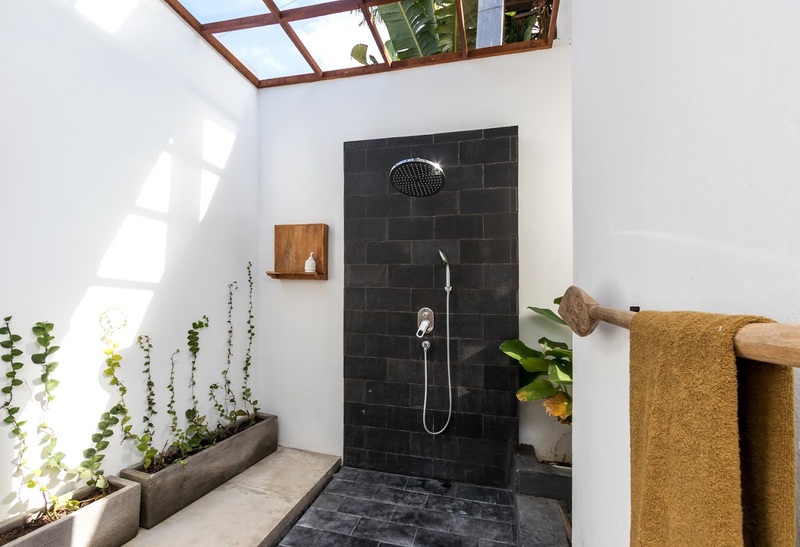 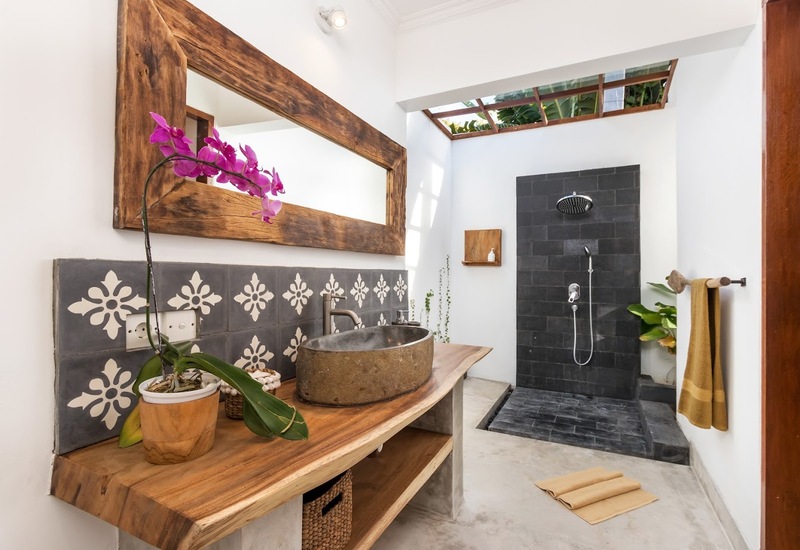 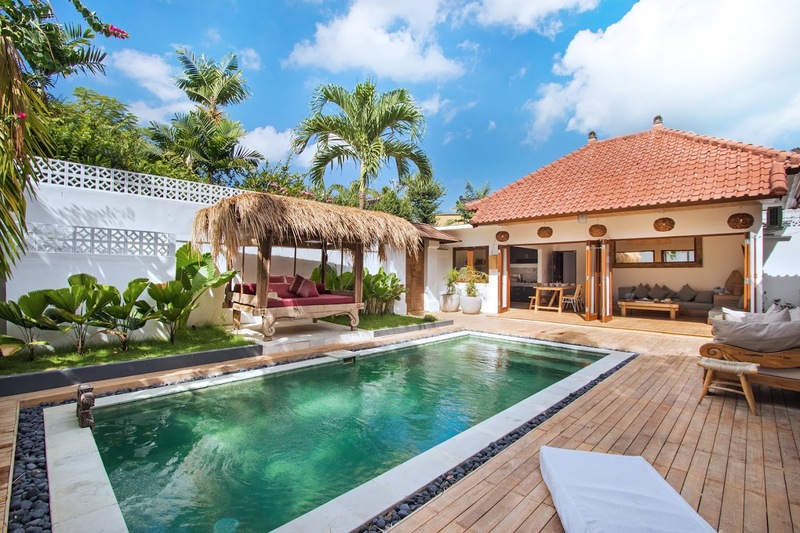 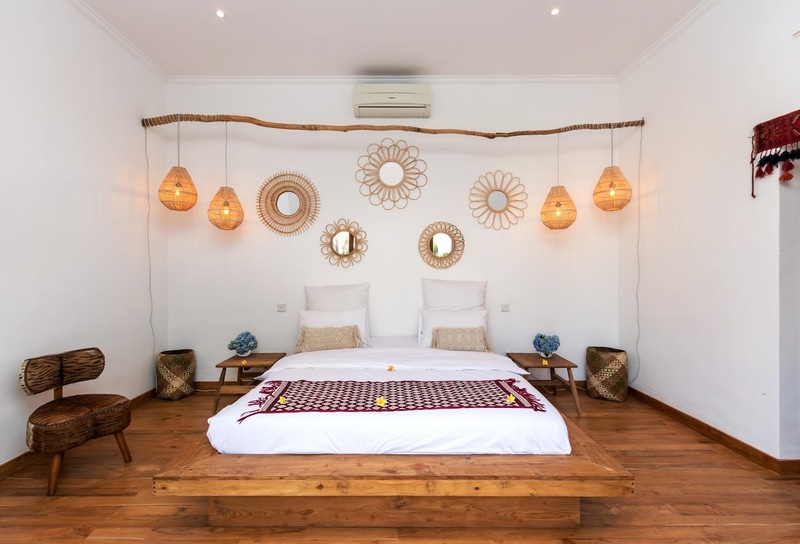 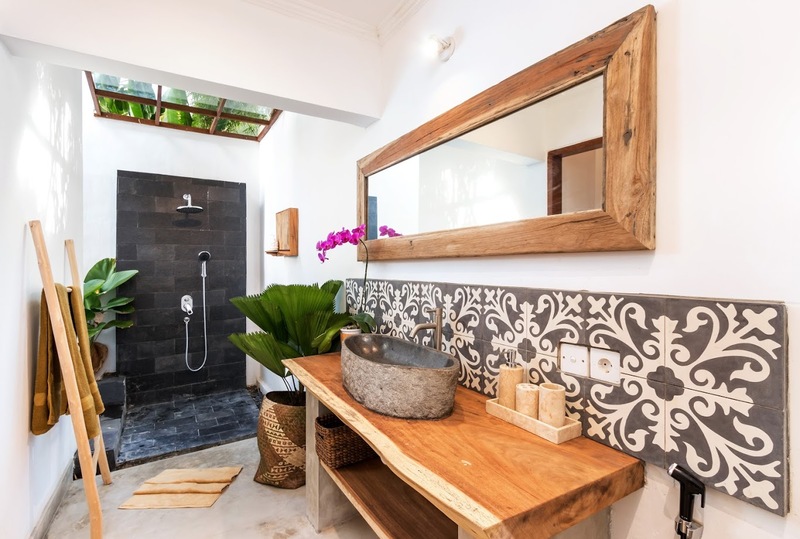 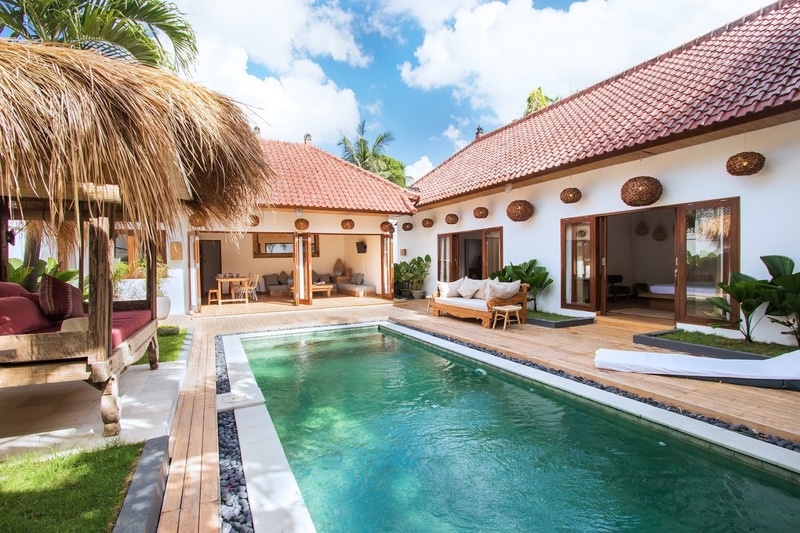 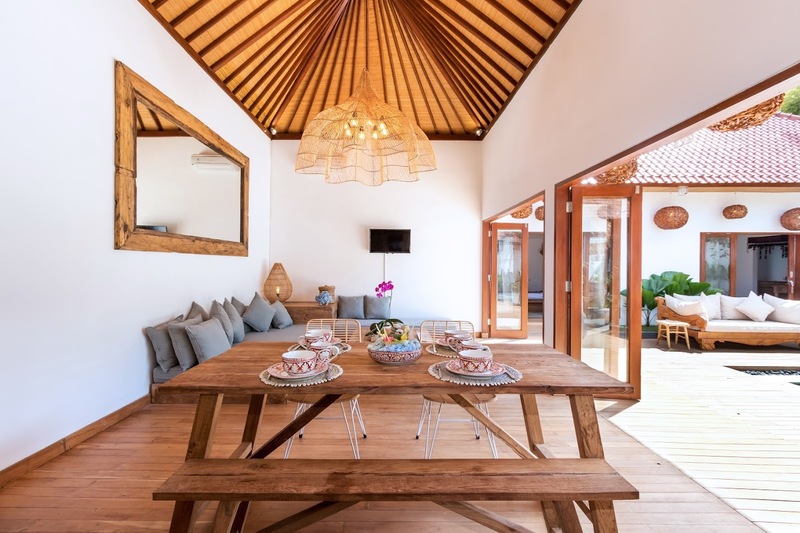 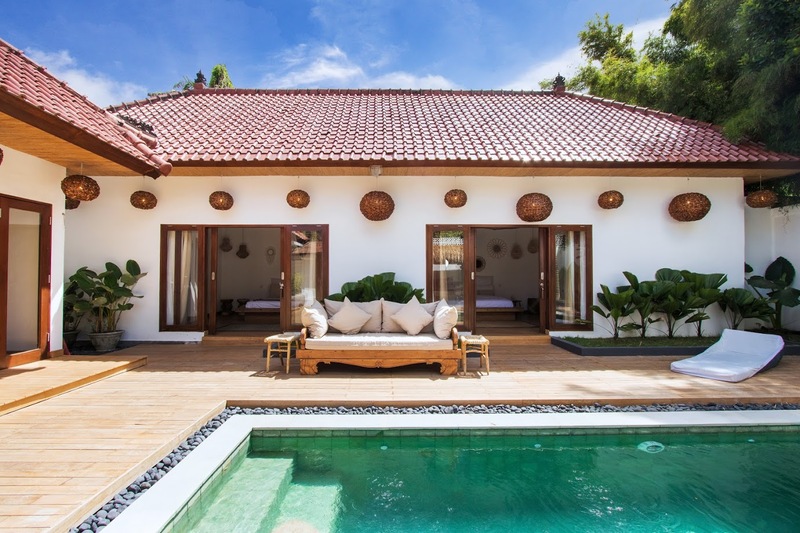 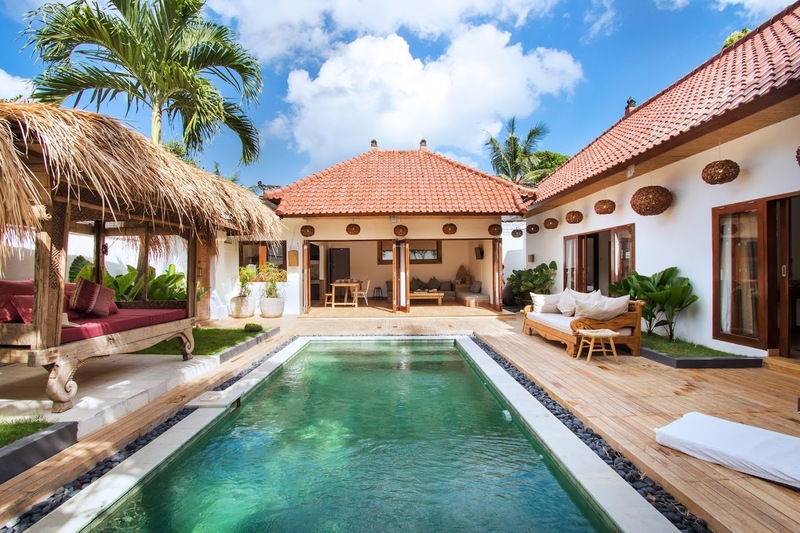 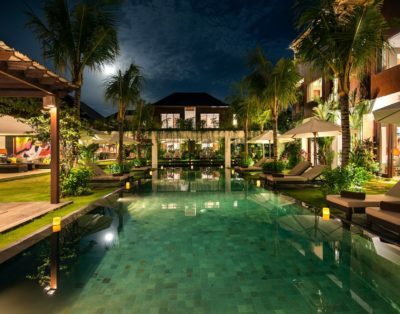 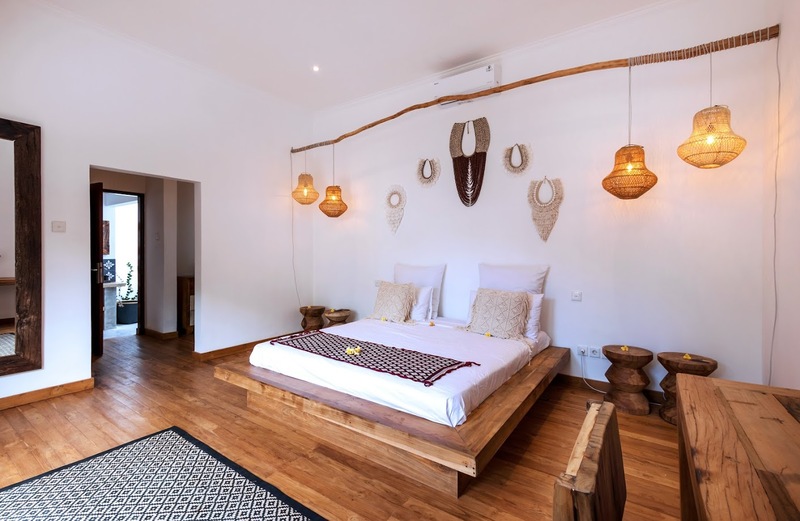 Villa Makasih is a real charmer tucked away in a gang of central Seminyak Within walking distance you will find the beach, shops, restaurants, bars and spas. 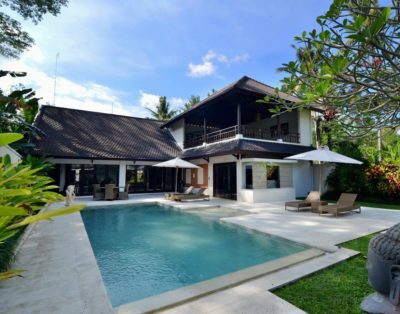 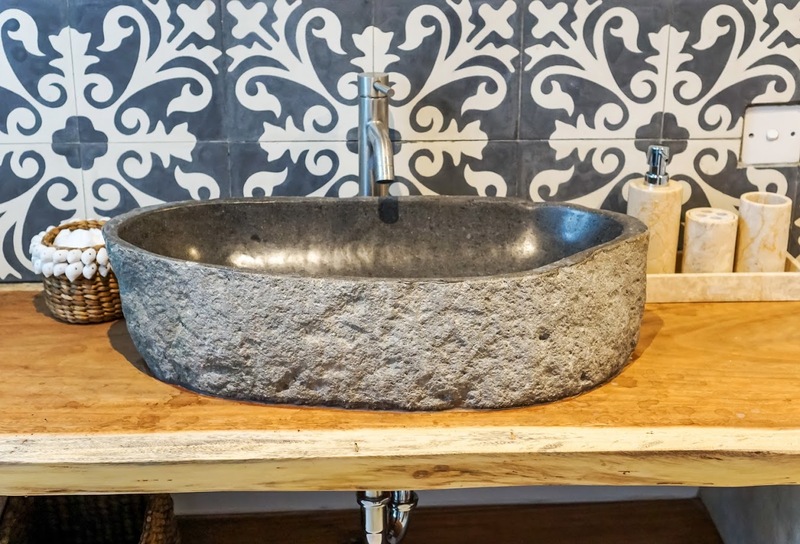 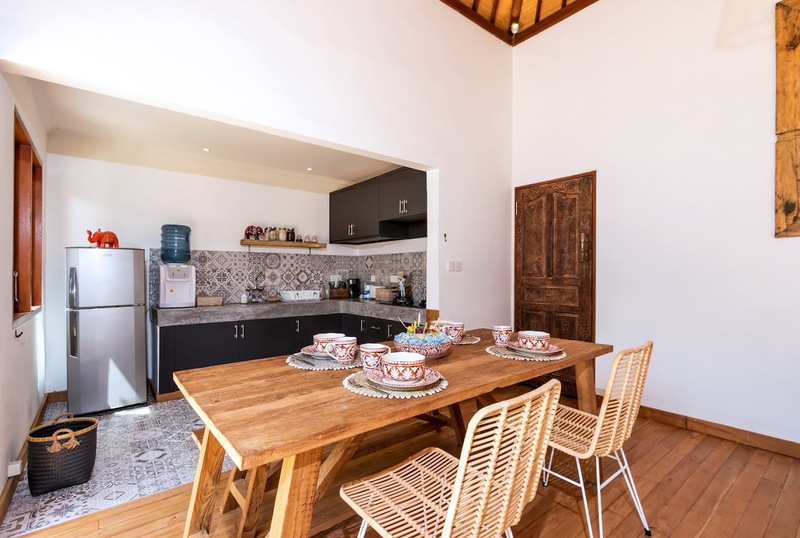 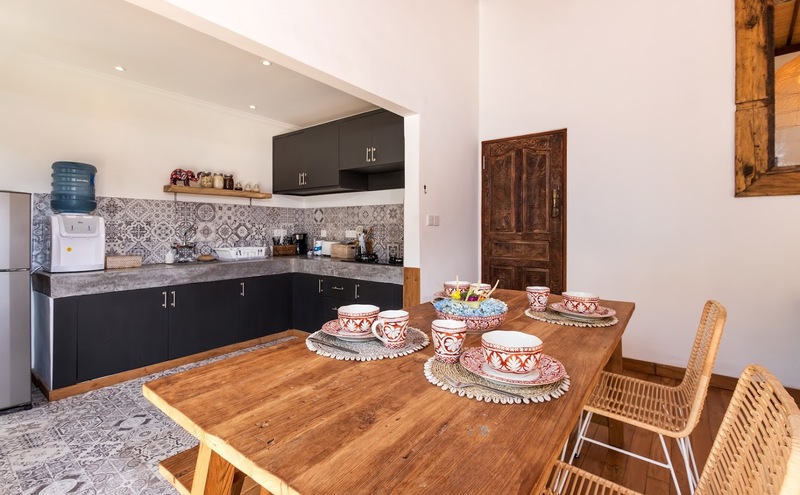 Villa Makasih is perfect for two couples or a family seeking a 2-bedroom oasis in the heart of town. 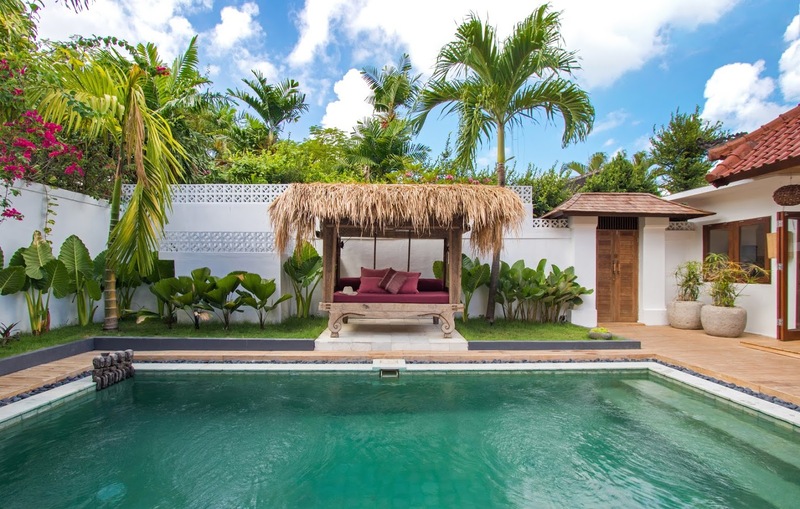 The garden is green and sunny – a wonderful place to lounge the day away. 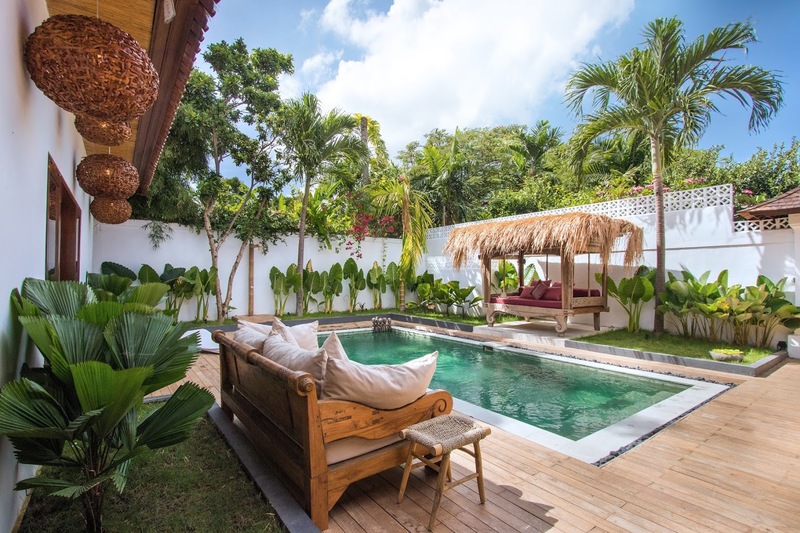 In the heart of this tropical holiday haven glistens the private swimming pool and it is flanked by a timber deck with a Balinese cushioned daybed and sun loungers for those seeking a comfy place to tan. 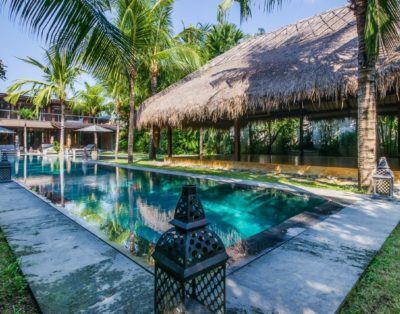 On the other side of the pool sits a cabana-style bale with a traditional thatched rooftop – this is the place to be for those wanting to lounge by the poolside out of the sun. 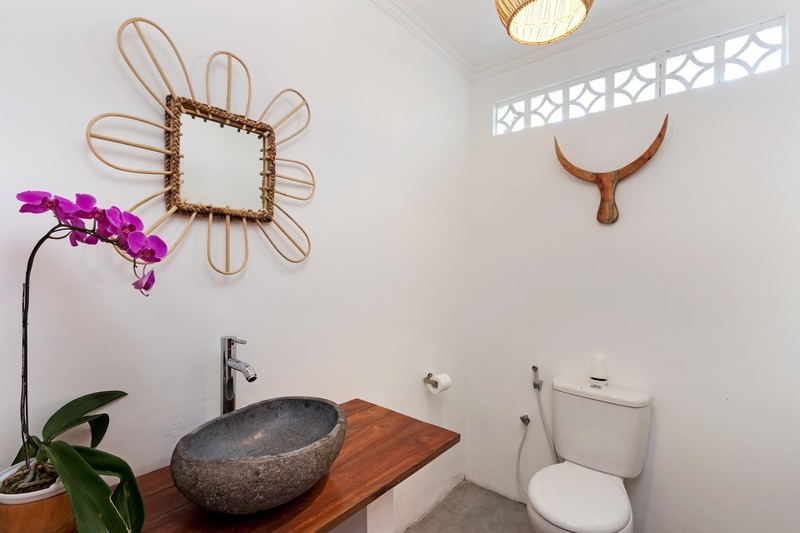 Something for everyone’s needs!